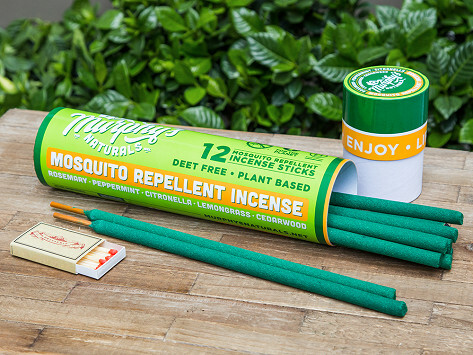 Ward off pests with natural mosquito repellent incense sticks. High concentrations of citronella, cedarwood, rosemary, and other oils naturally combat mosquitoes and smell great, too. This formula doesn’t contain any DEET or petroleum, and the incense is clean-burning, so you can feel good about using it. Dimensions: Each: 11" x 0.5" x 0.5"
I love these. They work well. Seems to ward off bugs and it smells good and looks cool.